Villa fully renovated with heated pool with comfortable access to the pool from the kitchen and living room. Outdoor kitchen with barbecue area .. Air conditioning and parking for. 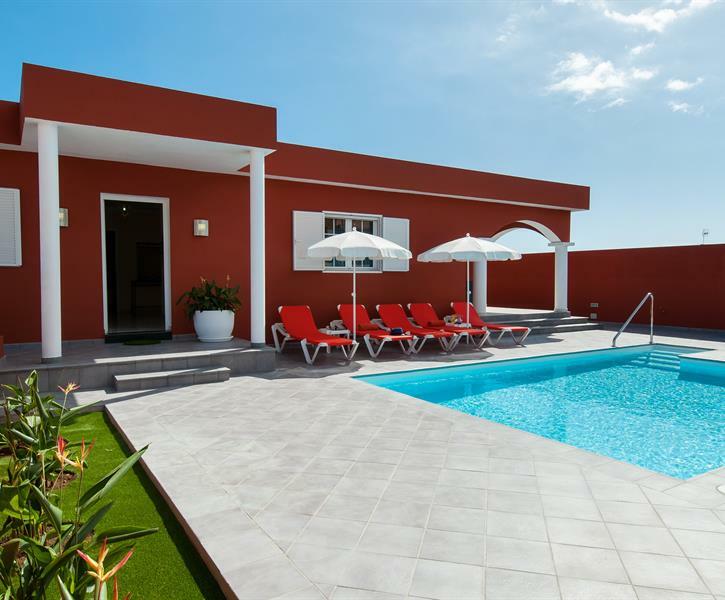 Villa with 5 bedrooms with 3 bathrooms and a toilet, beautiful fully equipped kitchen, living room with plasma TV, international channels, free Wifi, heated pool in winter and with a covered terrace and a solarium with hammocks to enjoy the sun of Gran Canaria. La maison se trouve dans un quartier neuf, sans charme, au bord de la route. C'est assez bruyant au passage des voitures. Elle est adapté pour 7 personnes maximum car sinon la 8e personne doit dormir dans le garage !!! Beautiful villa but too far out from centre. Taxis cheap but sometimes had to wait a while and one time no one turned up despite a few phone calls. Pool area is beautiful and pool was fantastic. Noise from road and local dogs at all times of day and night. If the villa was closer to centre it would be much better , but more expensive. Also problems on arrival and sat outside for half hr until I managed to get hold of someone to get entry code. Nice villa! Great swimming pool ( heated ). Nice terrace with a place for grill. Large bedrooms and useful kitchen…..
Great house, although not very central still great location, good infrastructure. Ideal max for 8 people, although 10 would fit in too. Great accomodation. For the same group size I would book it again. Biggest problem we faced with Taxis that never came or came too late.